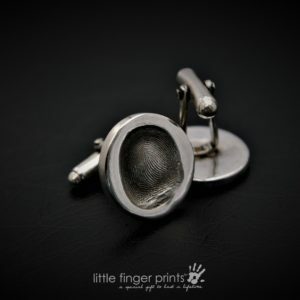 Our beautiful Fingerprint Cufflinks are the perfect gift for the man in your life. 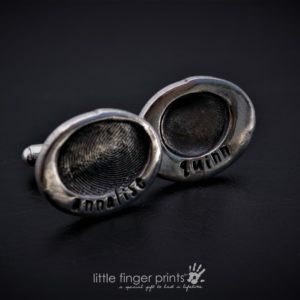 Each cufflink is engraved with a fingerprint from a child or adult and name. Taking the prints is easy with our easy fingerprinting kit which is sent to you free when you place your order. Using the prints that you supply, our fingerprint designers will work with the image to replicate every unique detail and swirl of the fingerprint and dispatch to you beautifully gift wrapped within 3 – 7 days. 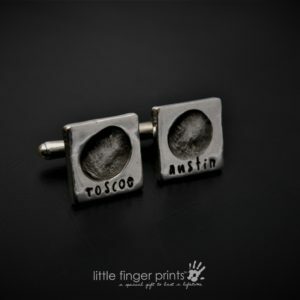 With a great range of fingerprint cufflinks you are bound to find the perfect pair for any special dad, uncle or grandad and make it an occasion to remember.